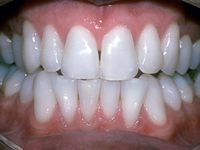 One of the least expensive and rapid ways to improve your smile is to utilize the technique of whitening, using the well known and very popular Opalescence system. 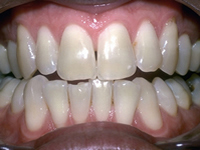 Badly stained teeth resulting from the use of coffee, tea, tobacco, and cola drinks can now be safely whitened to a dazzling level using this simple system. If you want a movie star smile contact us now.